Surprise! Factory Fans, did you think you could get through October without another premiere? 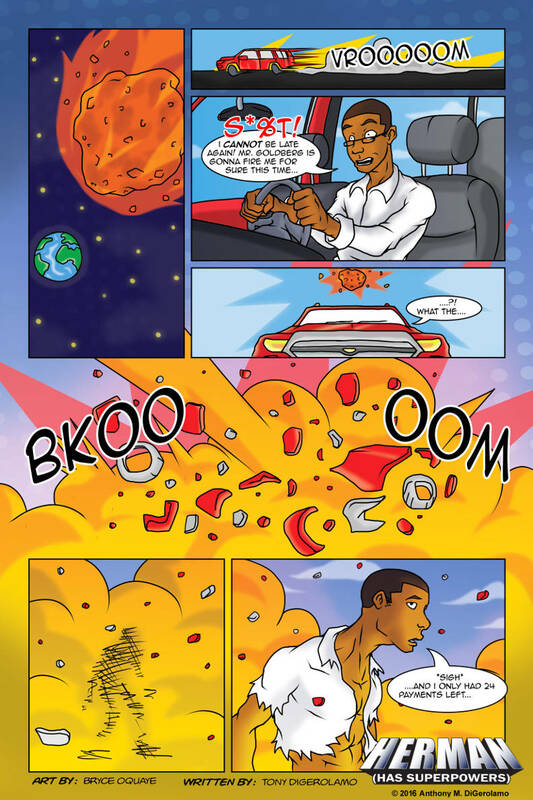 Please welcome, Bryce Oquaye, new artist for Herman has Superpowers! This is something I’ve been working on a while and I was just as surprised when Bryce’s fantastic art samples fell into my email box! Halloween is like Christmas around my house! So Merry Halloween! This new webcomic is going somewhere with superpowers, but probably not where you think.